30-inch 5.0 cu.ft. 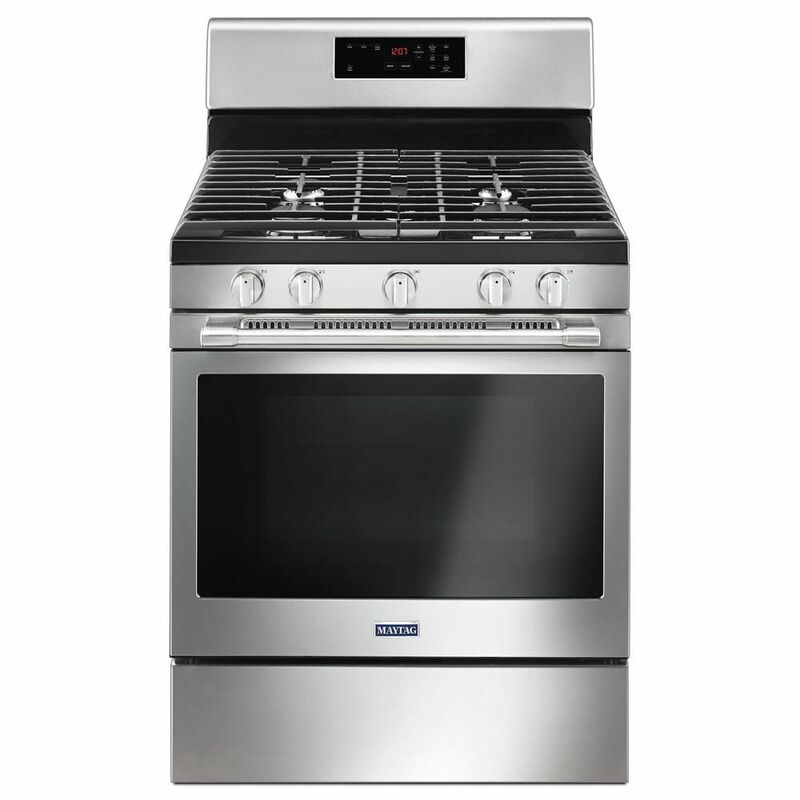 Single Oven Gas Range with Self-Cleaning in Stainless Steel is rated 4.1 out of 5 by 36. Rated 5 out of 5 by Suzannie39 from Wonderful, straight ahead, gas oven. Perfect for our kitchen. Wonderful, straight ahead, gas oven. Perfect for our kitchen. Rated 5 out of 5 by justagirl from Love love LOVE my new Maytag Gas range! I had... Love love LOVE my new Maytag Gas range! I had to convert it to LP, simple to do, just read and follow directions! Finally installed it and cooked breakfast this morning! Love the even heat and easy operation! Rated 5 out of 5 by Webber from I love everything about it. ... I love everything about it. Rated 5 out of 5 by mandyann from This is a beautiful high end looking stove. It performs like one too! I have cooked and baked and... This is a beautiful high end looking stove. It performs like one too! I have cooked and baked and used the 5th burner for a griddle pan. I had no idea what I was missing out on with my old gas range. Perfectly thrilled with the purchase! Rated 4 out of 5 by Todd from Overall fine - looks great and everything seems to work..... Overall fine - looks great and everything seems to work.. Heats quickly, but low simmer is difficult to maintain.